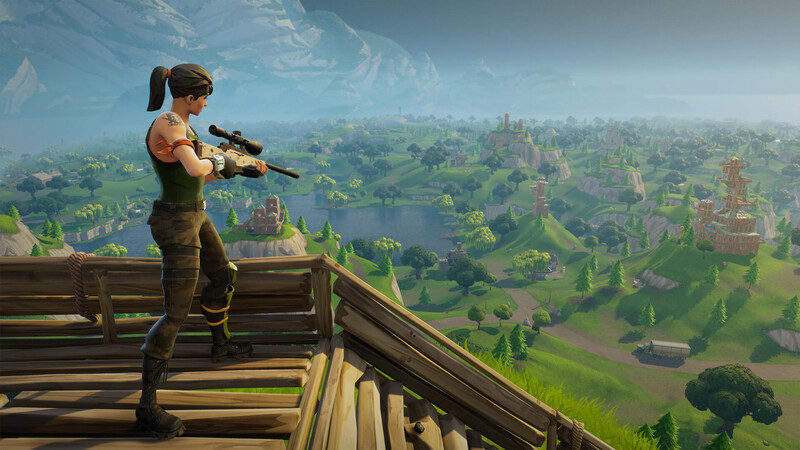 In brief: It’s no secret that Fortnite: Battle Royale has been a phenomenal success since it launched in September last year, but is the free-to-play title making the kind of cash that reflects its popularity? Yes, according to a new report: the game has generated a massive $1 billion worth of sales through microtransactions. Analysis company SuperData Research produced the report, which charts the game’s incredible revenue growth since October last year. While revenue had been increasing steadily, there was a huge jump between March and April this year when it made $296 million and $318 million, respectively—a result of the Ninja/Drake Fortnite stream that broke Twitch records with its 635,000 concurrent viewers. 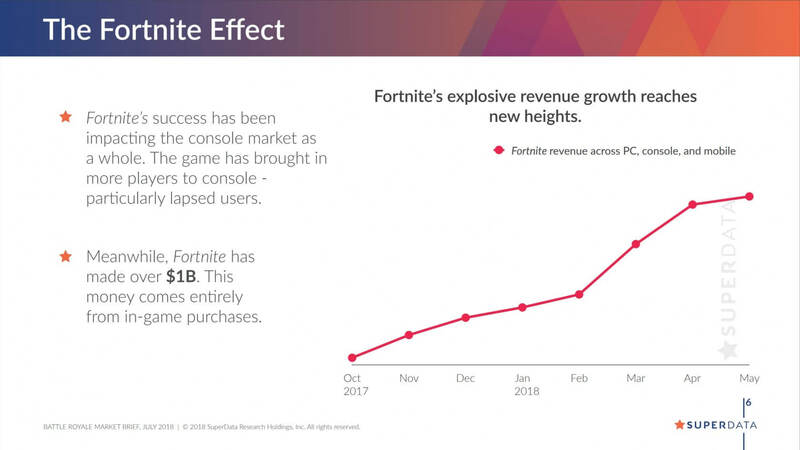 Not only is Fortnite bringing in a lot of money for Epic Games, its success is affecting the video game industry as a whole. 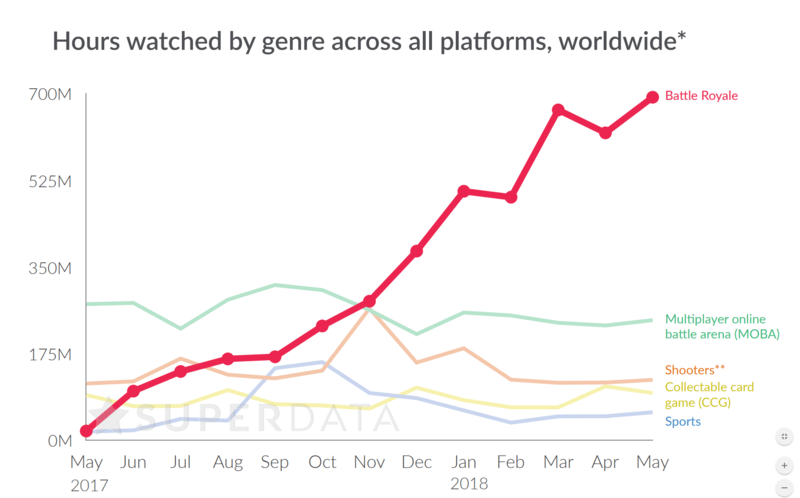 SuperData says it has brought more players to console, particularly lapsed users, and has helped the genre become the most popular category among those who like to watch game streams. 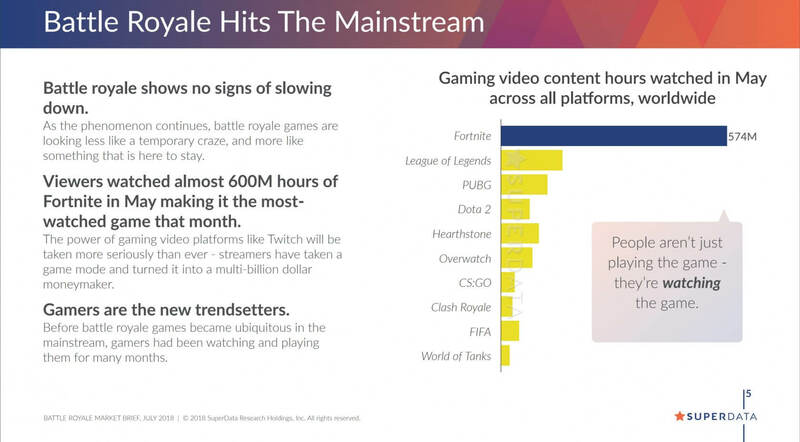 700 million hours of battle royale content was viewed in May, and Fortnite accounted for 83 percent of those hours. The genre is way ahead of second-place MOBAs, which had 275 million hours of view time. With so many new titles featuring battle royale modes, including the upcoming Call of Duty and Battlefield, the genre’s popularity keeps on growing. It’s expected to make $12.6 billion in revenue this year, up from just $1.7 billion in 2017, and is projected to hit $20.1 billion in 2019.